Starting Pitching – From the beginning of 2018, South Bend was supposed to be most exciting franchise/affiliate to watch because of its starting pitching. It didn’t start out that way as elite prospect Jose Albertos began a struggle that lasted all year. But Rollie Lacy, Erich Uelmen, Cory Abbott, Brendon Little, Javier Assad, and Ricky Tyler Thomas did do very well for the Cubs Midwest League affiliate on the mound. Later, Jesus Camargo, and Brailyn Marquez were two more solid pitching prospects to grace the bump for the Cubs. About half of the starting pitchers went on to have success at Myrtle Beach while two (Lacy and Thomas) wound up being traded in the Cole Hamels and Jesse Chavez trades. 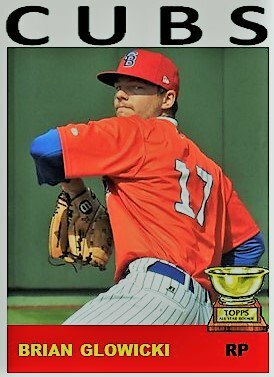 South Bend also produced one of the top closers in the system in Brian Glowicki who turned into a bulldog on the mound in the last month of the year. He did not allow an earned run in August. Add in the success of Brendan King, Enrique de los Rios, and Garrett Kelly and it was a pretty good year for pitching for the Cubs. At the plate, most, but not all, of the Cubs struggled. In the beginning of the year, first baseman Jared Young and catcher Miguel Amaya were a nice back-to-back power duo. 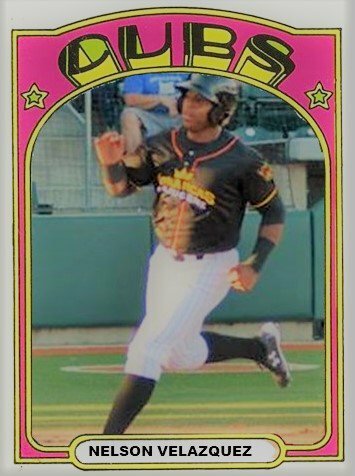 Young wound up in Myrtle Beach in July while Amaya caught almost every day in July and August but still showed a burgeoning bat with 12 HRs on the year and a wRC+ of 114.. In addition, Christian Donahue and Delvin Zinn displayed they can be successful role players. Austin Filiere struggled at times in the first half of the year but seemed to rebound and was very good at the plate the last six weeks of the season. A few players who ended the season in South Bend could be back to begin the 2019 season in the Midwest League. Pitcher Brailyn Marquez is the most obvious. Outfielder Jimmy Herron, the Cubs third round pick in 2018, could return for a short stint or he could even start the year in Myrtle Beach. However, most of the roster will be made up of players from the lower levels of the Cubs system. There are usually prerequisites to get to South Bend. First is Mesa, then Eugene. However, in recent years, some prospects have been skipping Eugene altogether and going straight from Mesa to Indiana with only a pit stop in extended spring training. There will be no shortage of pitchers and hitters for Jaron Madison to select. There are over 100 rostered players between the two Mesa teams and Eugene to squeeze onto the 25 man roster in South Bend to begin 2019. And that’s pretty much the theme for the lower part of the system in 2019. That competition will only benefit the Cubs in the long run and increased focus for each and every prospect. Nelson Velazquez, Fernando Kelli, and Jonathan Sierra should be in South Bend manning the outfield on day one but will 2018 draft picks Cole Roederer, Brennen Davis, and Edmond Americaan give them a run for their money? The most interesting battles I see coming in 2019 will be over the starting rotation. Riley Thompson is the guy I want to see most next year. Armed with a 95 mph fastball, he’s going to be facing some stiff competition with Faustino Carrera, Yovanny Cruz, Didier Vargas, Jack Patterson, Eury Ramos, Brailyn Marquez, Jesus Tejada, Peyton Remy, Blake Whitney, and more to start every sixth day. I am not going near the bullpen at this point or who might even be in the infield. There are lot of prospects to fit in and too many questions to answer. He didn’t see any action in 2018 after pitching for Arkansas in the College World Series. However, that might not stop reliever Jake Reindl from doing well in 2019 with his experience at such a high-level in a power conference.